Rebecca Ferguson’s not the only one getting a deluxe repackage of her debut album in time for the busy Christmas period. Fellow British soul star Emeli Sandé is seeing a re-release of her sublime album ‘Our Version Of Events’ in October, though its release in Australia is yet to be confirmed. 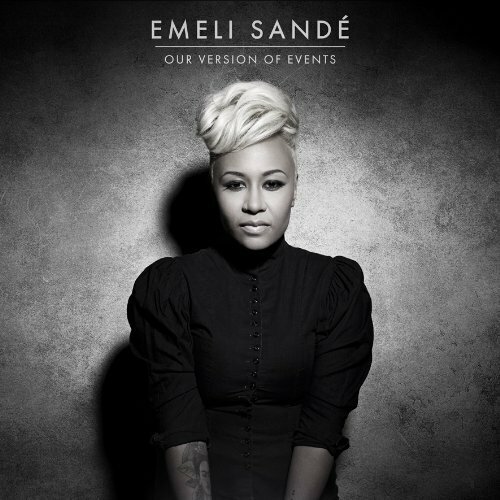 The repackage features new cover image (above), along with five bonus tracks – Naughty Boy’s ‘Wonder’ and Labrinth’s ‘Beneath Your Beautiful’, on which the singer guests, an alternative version of album track ‘Breaking The Law’, ‘Easier In Bed’ and Emeli’s cover of John Lennon’s iconic ‘Imagine’ (below). As mentioned, no confirmed release for Australia yet, but it’s out in the UK on Monday October 29.